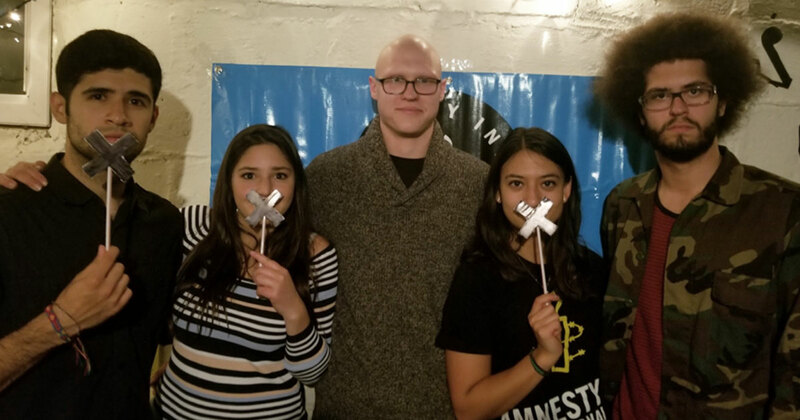 In April, Tufts Amnesty International hosted its annual Jamnesty! Music for Human Rights concert. The event was designed to celebrate the year’s human rights achievements as well as to highlight and take action on additional Amnesty campaigns. The event was well-attended and sold out within the first week of ticket availability. Musical acts included campus favorites such as S-Factor and DJ Arden, as well as young talents such as Berke, Sasha, and Arixb. This year, our feature campaign tackled Online Violence Against Women. We highlighted the devastating impact that online abuse will have on emerging generations of women worldwide, as well as the lack of response from transnational social media organizations such as Twitter. Up to 41% of women who have experienced harassment online have felt their physical safety was at risk, and 24% felt that their families were also at risk. Our other two campaigns addressed the ethnic cleansing of the Rohingya in Myanmar, as well as the domestic issue of gun violence, a human rights challenge that has emerged in the United States. To address the Online Violence Against Women campaign, we encouraged attendants to participate in an Amnesty photo campaign. Participants held Xs over their mouths to symbolize a rejection of abusive tweets on Twitter. Amnesty chapters across the world have taken part in this photograph campaign, and the hope is that the image will become an iconic representation of the #ToxicTwitter movement. For our gun violence and Rohingya campaigns, we encouraged our audience to send letters and emails to their congressional representatives demanding support for comprehensive gun reform as well as support for the Rohingya minority in Myanmar. For each of these causes, we sent over 70 letters and emails to congressional representatives. We also celebrated our February campaign in support of undocumented youth and asylum seekers that was done in collaboration with The Rez, the campus coffee shop. The Rez provided free coffee to participants who made phone calls to Congress in support of a clean DREAM Act. This act would protect undocumented children and young adults admitted to institutions of higher education. With so much to celebrate and so much work still to be done, we were thankful that Jamnesty was such a success and feel that we left a lasting human rights impression on our participants.